How to remove leading and trailing spaces in Microsoft Excel 2016 ? There are times when you would have the cell that contains the blank spaces before or after the text. You can easily remove it using the TRIM function in Microsoft Excel 2016. 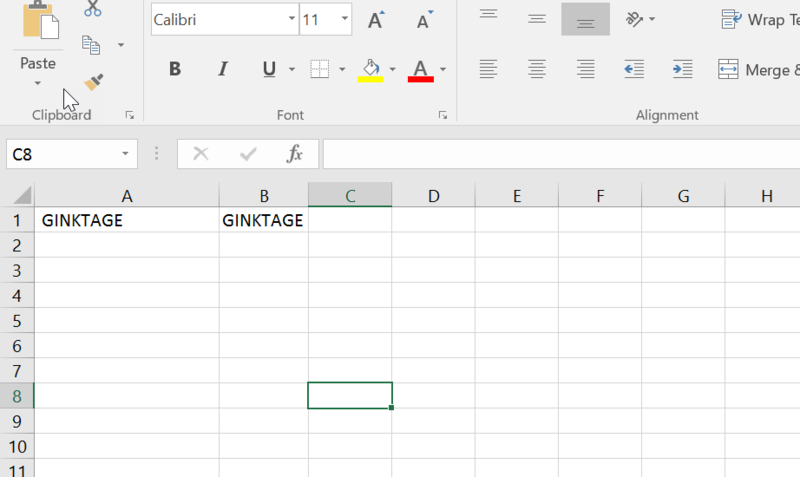 Assume that the cell A1 contains the text ” GINKTAGE ” which contains the trailing spaces. In the cell B1 , enter the formula =TRIM(A1) and press the enter key. This would display only GINKTAGE without leading and trailing spaces in the cell B1.